Find out how Incognito is transforming the digital home experience. 80% of technical issues happen within the home network. It’s not surprising given the complexity of multiple devices and smart home appliances sharing the same home broadband, and more being added every day. This means more calls to customer care, unhappy customers, and more technical support needed from network operations and field engineering. Our team has developed tools to give customer care and marketing professionals a glimpse into how Incognito can transform the customer care and home user digital experiences. For network operations and engineering, learn how the Incognito solution can be deployed into an existing network, and a perspective on the operational efficiencies that are possible. 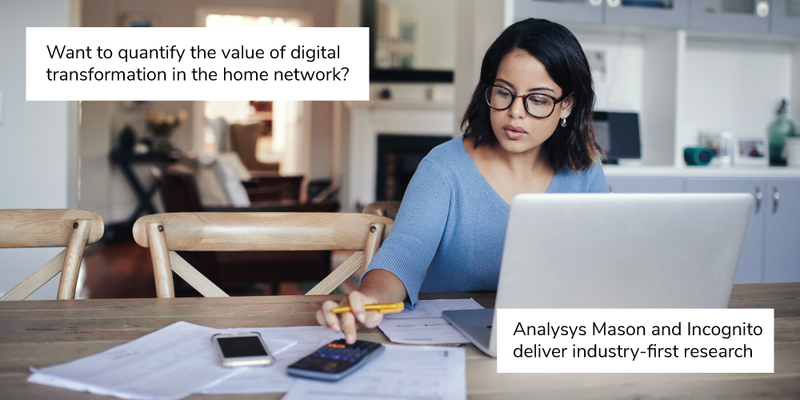 Finally, see how our global customers are using the Digital Home Experience solution in their networks to solve real world challenges in the competitive home broadband market. can be easily deployed in existing networks. a great home user experience.